Have some fun while you give the creative muscles some workout! 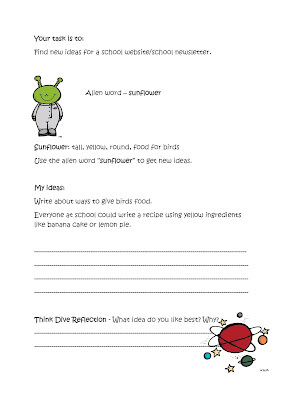 In this booklet, the term alien word is used to introduce the idea with random input. 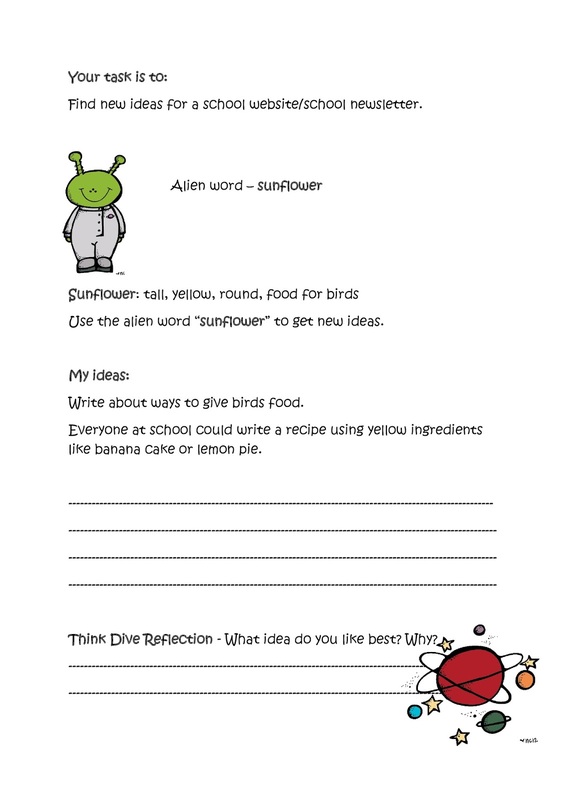 The “alien” words are not entirely “random” but selected to make it a bit easier for a child to extract words to help them get new ideas. Nevertheless, this task requires some creative thinking. There is a myth that ideas just “come to a person”. Of course, sometimes ideas just come easy but sometimes it is important to step out of the box and look at a problem from a new perspective. 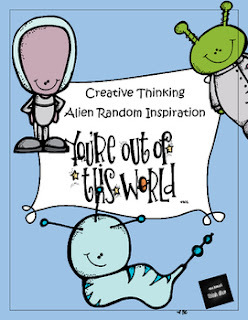 One technique that can be used it to use random input to help a child generate new ideas. 3. Pages where the child can fill in with their own problems.